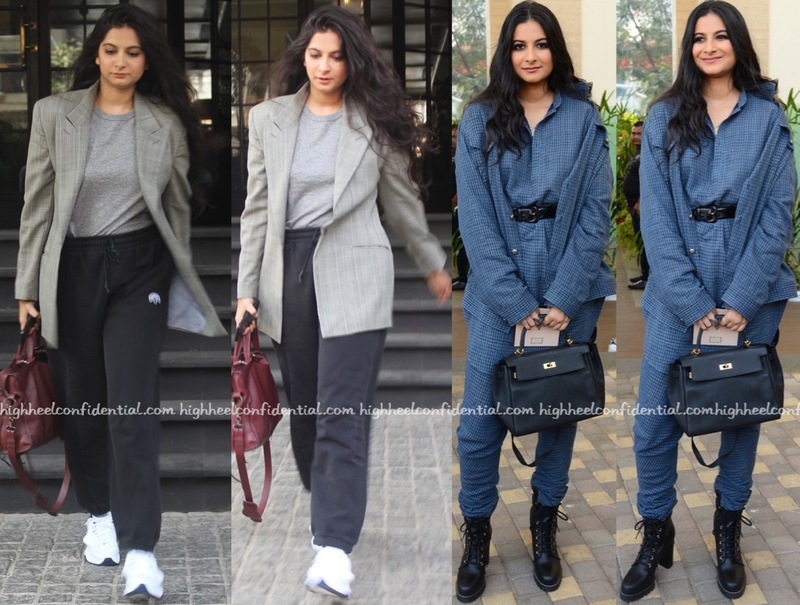 While out in Mumbai recently, Rhea was photographed keeping things casual in sweats, a tee and sneakers. Adding a pinstripe blazer to the separates, the stylist/filmmaker rounded out the look with a Balenciaga bag. Going the more dressed-up route at fashion week, Rhea sat front row at Kunal Rawal’s show wearing separates by the designer in question. Pair of chunky boots and an Hermès ‘Kelly’ were among her accessories of choice. 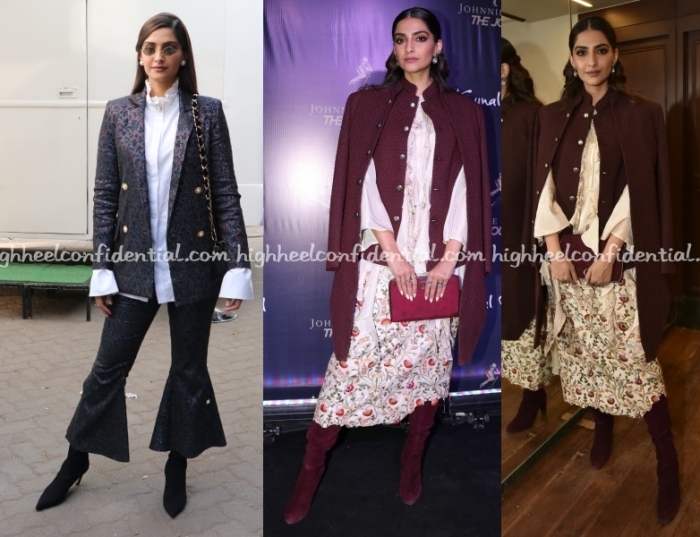 Which of her two looks has your attention? Wearing separates from Kunal Rawal, Janhvi took in his show on Saturday evening at the ongoing Lakme Fashion Week Winter Festive edition. Loved her, waist up. Waist down, I think she could’ve worn cigarette pants and the look would’ve been just as effective.